If you are attentive to American fashion editorials or visit often streetstyle sites, must have seen that the visual high school, as that present in dozens of Hollywood films is pleasing men of different styles, from preppy to rapper. 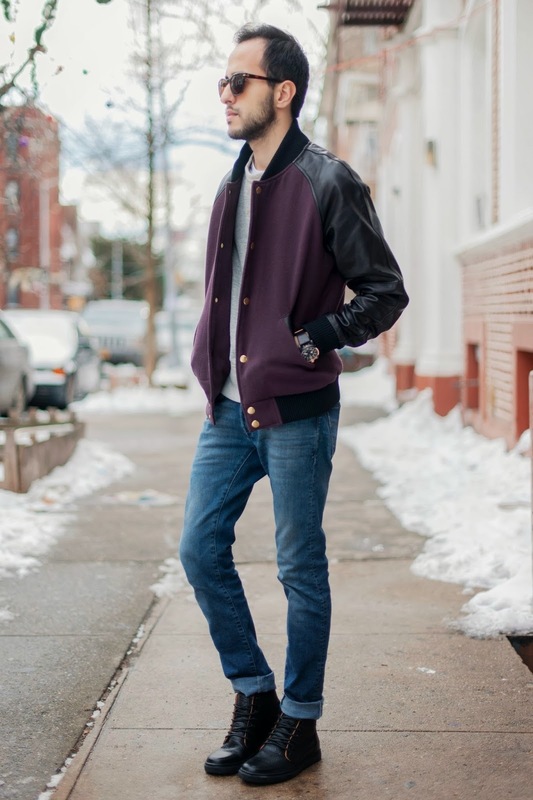 But the most important thing is that the key piece of this kind of look is known as varsity jacket and, despite being an extremely common clothing item for Americans, is still something new to the Brazilians, generating some doubts about your use, but we hope, in this post, elucidate some! 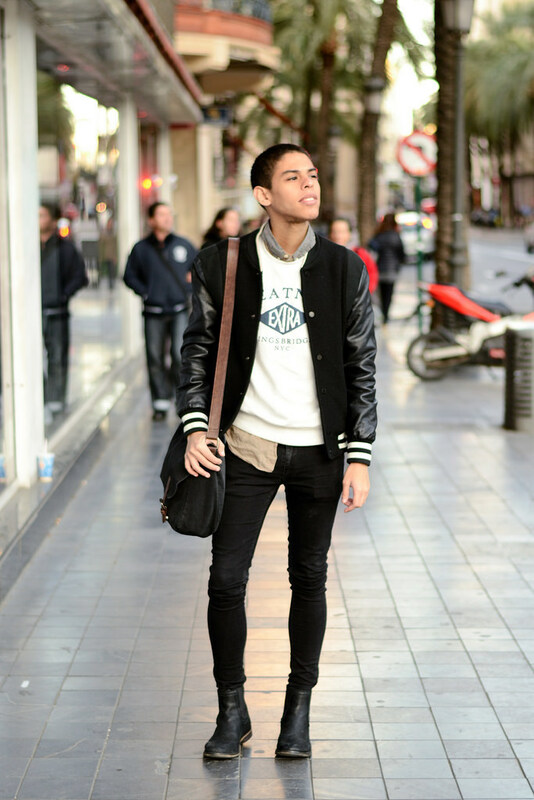 The varsity jacket by itself is a stylish item, with references to the decades of 50/60 (despite being used to this day) and the lifestyle of the American teenagers, i.e. remember youth and fun, so nothing better to accompany her than casual pieces fully and symbols of this period of our lives, as a blue jeans well worn , t-shirt, sweatshirt with a hood and Kangaroo, the icing on the sunday, the boots shattering the aura fun look and inserting a bit of aggression in the final result. If it is of short stature, the turn-UPS will shorten your legs, if you are overweight the sweatshirt and the varsity will create much volume, so try to avoid these pitfalls, changing the t-shirt and Sweatshirt by leaving folding the jeans bar. Ditch the jeans for a sweatpants (relax) or of tailoring (very serious), already a low sneakers would make the very simple composition and one to run or the gym, much the way sports is the balance between the pieces is great. 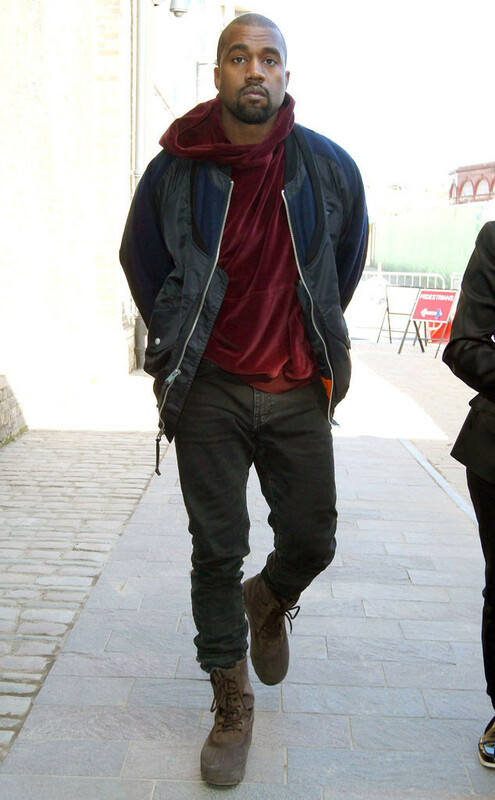 The Sweatshirt for a Plaid Shirt or a mesh, or footwear for a desert boot or work boot and not fold the pants. 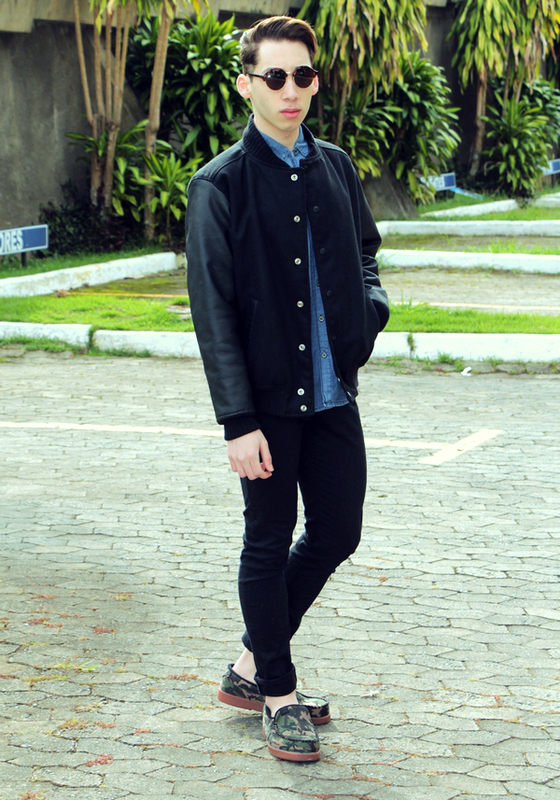 The jeans detonated has everything to do with the varsity. This type of combo tends to leave the person with that obnoxious teenager, if you crossed the 30 years it tends to be dangerous, it may seem that you are trying to get the image of something that is not, but even so, I’ve seen a lot of people with 40 or 50 years that holds the look quietly, it’s all a matter of style , so be sure your.